We are a modern group based on a wonderful tradition. Our WI aims to bring women of all ages together to learn new skills and have fun with a group of like minded ladies. We are now over 5 years old. As a group we are an exciting , friendly group of women, of all ages ,from different backgrounds, experiences and occupations and the aim of the WI is to share experiences together whilst having fun at the same time. 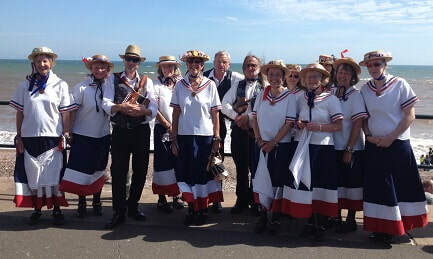 We will be celebrating the month of May with England's Glory Ladies Morris. If you are not a member but would like to come along and see if you would like to join us. Please contact us by Facebook messenger or through our website. Your first 3 visits are free. Please see our news page for our 2019 calendar.